..but how many of us actually put it into action? Here you'll find tips on how to eat less fat in your everyday life. I think it's human nature to want things you shouldn't have or aren't allowed. We all visit our "child within" at times! It's just annoying that the tastiest foods tend to be the fattiest. You do need a small amount of fat in your diet. But eating too much could lead to you becoming overweight. 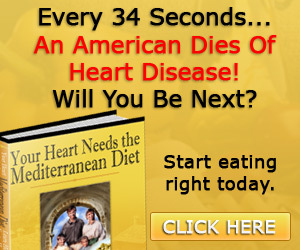 As you get older this will directly affect your health (i.e. increased risk of heart disease). Saturates. Foods that contain a high level of saturates will increase your blood cholesterol level. Not good! We tend to get our balanced diet quota of these from meat, fish and dairy foods. So you can see how eating lots of cakes, chocolates, puddings and biscuits on top of that, bombards your body full of damaging saturates. Unsaturates. These are the "goody" fats. Your body needs a small quantity of these to be healthy. They come as monounsaturates (always good) and polyunsaturates (contain essential omega-3 and omega-6).. yes I know I sound like a margarine ad! My favourite sources of these are olive oil, oily fish (e.g. sardines and mackerel) and nuts. Use semi-skimmed milk instead of full fat. Try cottage cheese or hard cheese (half-fat). Use low-fat yoghurt instead of cream. Use low-fat spreads high in mono- or polyunsaturates. Eat more oily fish (twice a week is good). Trim off visible fat on meat. Grill, steam, bake or boil.. rather than fry. Eat less sausages, beef burgers, pies and chips. Try to avoid mayonnaise and (oily) salad dressing. Avoid fat for cooking, try olive oil. Eat less cakes, chocolates, puddings, biscuits, crisps, pastries. It's not a matter of saying "I'll eat less fat by doing all these things" and then not enjoying your food. See what you like and don't like out of the list. There's no point telling yourself that you'll do it all, and then the next time you're feeling down you go straight for the chocolates. Focus on the points you actually will do, and stick to them. I think even if you do half of these things, you will greatly reduce your total fat intake. If you do them all, then good on you, I envy you!! Return to Exercise Fitness Diet from How To Eat Less Fat. Return to Home from How To Eat Less Fat.